Coulrophobia is the acute fear of…clowns. But why be afraid of clowns at all? After all, clowns are merely slapstick circus performers garbed in ridiculous accouterments (zany wigs, over-sized shoes, red noses, and pale white pancake-make-up faces…). They are designed to appeal, through their outrageous behavior, to delighted kids. Yet children -- perhaps more than any of us -- often detect something dark and sinister in the clown aesthetic. Is it the inhuman skin palette? The desperate desire to please, or to garner a laugh? The unavoidable perception that -- underneath that painted, gigantic smile -- the performer isn’t really smiling at all? Certainly, horror movies such as Killer Clowns from Outer Space (1988), Out of the Dark (1989), and Vulgar (2000), among others, have exploited the seemingly universal human fear of clowns. But movies are not alone in spot-lighting this monster or “boogeyman.” In cult-television history, scary clowns have also long been a staple of storytelling. The circus or carnival is a frequent setting of popular genre series (including The Evil Touch, The Fantastic Journey, and Tales from the Crypt), and clowns have appeared again and again to terrorize our slumber. Below are my personal selections for the five creepiest cult-television clowns. Your mileage may vary. This story during the era of the Seventh incarnation of the famous Time Lord (Sylvester McCoy), overtly involves coulrophobia. In particular, the Doctor’s young companion, Ace (Sophie Aldred) is terrified of clowns. This is a fear the Doctor -- in his unofficial and ongoing role as her therapist -- hopes to disabuse her of. Together, the duo decides to visit the Psychic Circus on the planet Segonax. The truth behind the strange circus, however, is that the malevolent chief clown and his mechanical clowns actually serve the Gods of Ragnarok, beings who feed off of entertainment. After encountering these terrifying clowns and defeating the Gods, the Doctor determines that he doesn’t like clowns very much, either…and who can blame him? Chris Carter’s Millennium is a series rife with horror imagery of all varieties, and all of it artistically and beautifully wrought. In the third ever episode of the series, young Jordan Black (Brittany Tiplady) experiences a terrifying nightmare involving a clown. 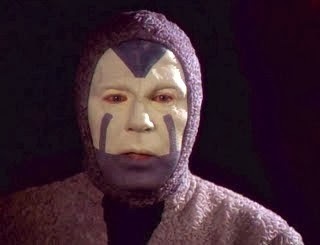 But this being Millennium, it isn’t your normal, garden-variety clown. On the contrary, the briefly-seen clown is creepily perched -- like a hanging spider – from a ceiling in the Black household. 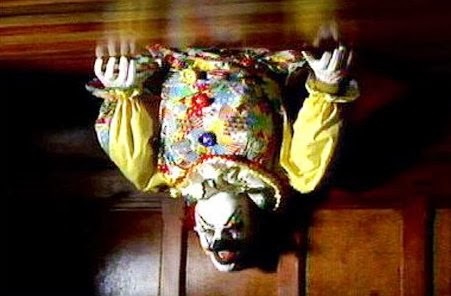 This clown is the stuff of nightmare fodder because though its body is oriented downwards (hanging from the ceiling), its head and face are upside down (or by our perspective, right-side up…). This final bizarre touch -- the clown head at odds with the positioning of the clown body -- is just incredibly upsetting. 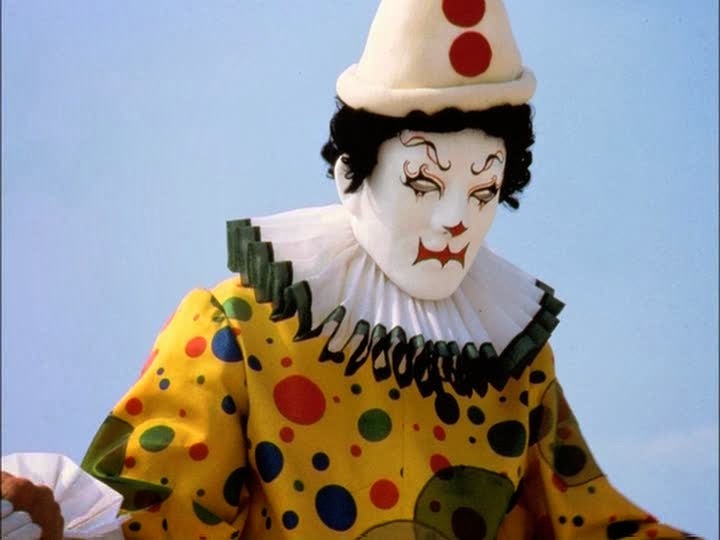 In the case of “Dead Letters,” the clown is almost a throwaway character, and separate entirely from the main story, which involves a serial killer. But the disturbing dream imagery of the clown makes the viewer aware that there is something very dark and very menacing stalking suburbia. 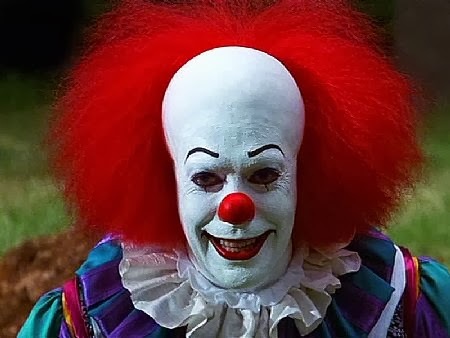 The dreadful Pennywise emerges from the amazing imagination of horror icon Stephen King and his novel It, and is performed in this TV-movie by the legendary and incomparable Tim Curry. Here, the dreadful clown -- actually some kind of hideous spider-creature -- feeds on the imagination of several youngsters and friends, terrorizing their waking hours and their sleep. Curry is at his malevolent best in this role, and internalizes the character of this monster to a truly frightening degree. In fact, when one thinks of evil clowns, Pennywise is perhaps the one name that leaps to mind immediately. Here, several alien scientists are trapped in a holographic world run by this malevolent clown...formerly but a figment of the computer system, but now sentient. While their consciousness visits the realm of the clown, however, the scientists’ bodies slumber in suspended animation. But one “life” impacts the other, as the clown learns, and he boasts the power, quite literally, to scare his victims to death. Die in the hologram, and you die in reality…of a massive coronary. Before long, this dark clown gets his hands on two Voyager crew-members -- Torres and Harry Kim -- and Captain Janeway (Kate Mulgrew) must face him on his terrain, where he possesses all the power and all the advantages. Janeway’s only weapon to fight back against the the capricious, vengeful, monstrous creature is to show no fear whatsoever…no matter what macabre sights he shows her. If there is such a thing as Hell -- a place where your life is no longer your own and reality can be reshaped to terrify you and make you suffer – then “The Thaw” does a creepy great job of imagining it. Hard to believe this frightening tale is an episode of the family-friendly Star Trek franchise. It’s one of Voyager’s underrated gems, and worth re-visiting. 1. Pippo the Clown (“The Clown,” One Step Beyond ). I hadn’t even been born yet when John Newland’s paranormal anthology was broadcast for its original network run. Instead -- as a teenage insomniac in the mid-1980s -- I encountered reruns of the series at 2:00 am, in syndication on a local channel. I remember watching the series during that twilight time -- when the rest of the world slept -- and feeling (in admittedly paranoid fashion…), that I was the only one watching; that somehow these stories were meant just for me. 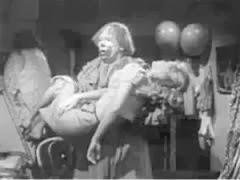 One of the most chilling and unnerving One Step Beyond stories was the second season entry, “The Clown,” starring a very young Yvette Mimieux. This tale of vengeance and cosmic justice meted actually engenders sympathy for the rotten Tom because his punishment is so terrifying. 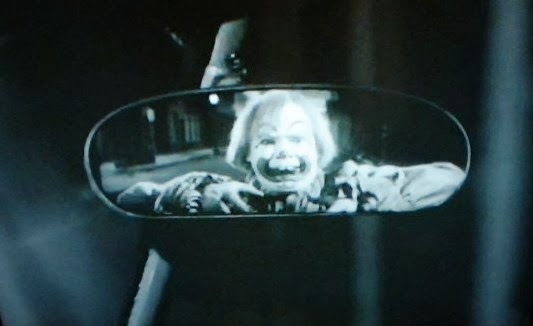 Pippo, the buck-toothed, silent clown, appears in rear-view mirrors and the like, and finally threatens to drive the man to an early death. “The Clown” is visualized in moody black-and-white, expertly directed by Newland, and Pippo never speaks or utters a word of explanation, anger or remorse for his campaign of terror. Instead, his rage-filled eyes -- seeking their quarry by blackest night -- convey his sinister emotions. There’s a relentless, inevitable, driving quality about Pippo’s vengeance that, in my opinion, renders him the scariest clown to ever cross our TV screens.